Scrum motivates its employees because it's allowing them an equal chance to affect the process. In this post, I will provide a short checklist that will try to answer that basic question while examining few of the main ceremonies and artifacts of the Scrum framework. Ensure that all team members will raise any issues that they had in the last sprint. Suggest work cases/events that can contribute to the open discussion. Ensure that the team understands the importance of this meeting. Search for new techniques to make the reporting more effective. Ensure that every team member will have the chance to speak. Ensure that all issues from previous meetings are fulfilled. Suggest new formats of retro. 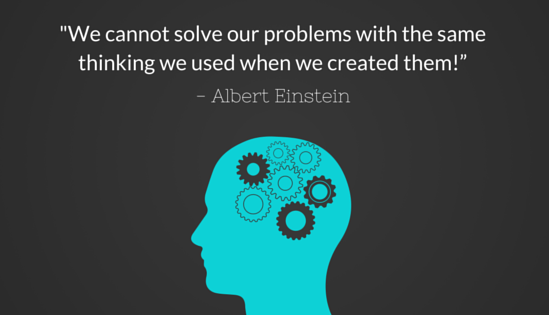 Ensure that the product backlog reviewed and adapt based on the PO requirements. Ensure that the team can answer any questions regarding the uncompleted stories. Ensure that the team is ready to present the work they accomplished. Ensure that all stakeholders presented. Validate that the PO receives all answers from the team regarding technical stories. Responsible to write and follow-up all questions raised by the participants. Validate that the meeting participants are familiar with the meeting goals. Raise ant issues raised by the team regarding stories prioritization. Validate that all questions from the previous meeting are answered. Validate that the product owner is ready for the meeting. Validate that the relevant stakeholders are participating. Responsible to increase the communication and knowledge sharing among the team members. Responsible to validate that all stories and tasks updated based on team progress. Ensure that the team enforces the scrum rules during the different scrum activities. If necessary, the scrum master provides technical assistance for team members. Clearing any impediments from the team that can affect the iteration goal. Sent invitations to the relevant stakeholders for scrum events. Ensure the required stakeholders will present at meetings. Lead the team by example. Build training session and any other learning activities that will increase team knowledge in scrum. Help the team to understand if there any major risks that can affect their commitments. Help the team and the product owner to establish a clear goal for the upcoming sprint. Help the team to make an efficient task breakdown. Help the team to understand when they need to stop/Take commitments (Based on the team velocity, Capacity and the complexity of the user stories). Help the team to bring any technical resource (Expertise) to provide technical information that helps the team to make a more accurate estimation. Help the team with task prioritization. Prior to the team to take their next commitments, the scrum master should provide the team “Velocity” and “Capacity” metrics. The scrum master can use is technical skills to help the team with any questions raised during the task breakdown. Ensures that each team member provides the full and true information about its progress. Validate that the iteration burn-down chart reflecting the real work progress of the team. Validate that all open questions from the previous meeting are answered. Validate the product backlog PBI’s updated based on the team answers. Ensures that each team will speak during the time limit of 2-3 minutes. Stop any member that is not come prepared for the meeting. Remove all impediments that raised during the meeting. Ensure that the meeting conducted on a daily basis. Validate that the meeting starts and end on time. Validate that there will not be any electric devices that can affect the focus of the meeting. Ensures that team members will not use the meeting to resolve technical issues (in that case, the SM will take this issue offline). Remove interruptions from other stakeholders that arrive at the meeting (Product Owner, Managers of other teams Etc.). The SM should validate that team members will not report to him; this is not a reporting meeting! Validate that team members are participating and share their insights based on the meeting agenda. You have selected your new scrum masters, and they are ready to do their job as key stakeholders in your scrum teams. The project starts and everything looking great, the ceremonies are happening, the team works as a single unit, the velocity increase per iteration, so we can say that the team performs at the highest level. Then, without an early notice, the impediments are starting to raise and affect the team ability to keep the same performance as they succeed to do until now. Well, what can we do...? 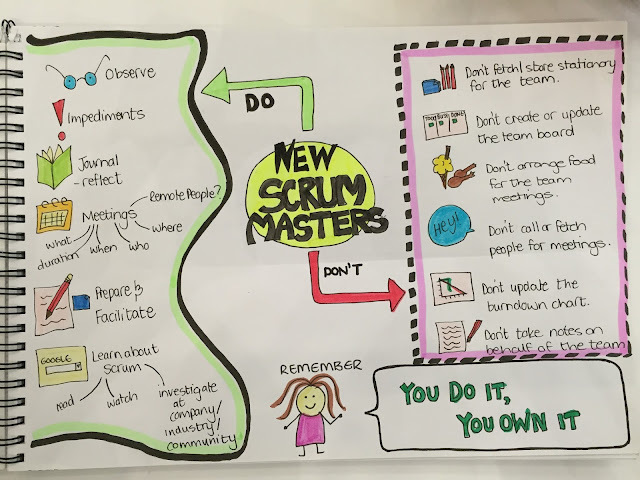 It is the Scrum Master time to step up and help the team to remove those impediments that affecting their work; this is probably the highest priority of a scrum master that need to ensure that the team can perform at the highest level. Impediments, what does it means? "A hindrance or obstruction to doing something. Frequently used to describe some issue or blocker that is preventing a team or organization from performing Scrum in an effective way." In scrum, impediments can come from different areas and in all shapes and sizes, therefore, there is a Huge importance that the scrum master which responsible to remove them will have the relevant knowledge and familiarity to handle them. The scenario goes something like this, the team created a great sprint backlog and they are ready to conquer the world, the progress is great and suddenly the build is corrupted due to 1000 reasons, what should they do now? Well, you guess it right; the scrum master should ensure that the team would get a working build by promoting it with the CI team as the highest priority. Integration between teams not defined, and cause bottlenecks in the day-to-day work. Missing ceremonies or technical knowledge to perform them. Scrum masters/Product Owners that do not know how their role. Key Stakeholders are not contributing to the process as they supposed to do. The team does not know how to estimate that work prior to taking their commitments. User stories are planned and committed at the start of the iteration, but they cannot predict which problems may arise once they start to work on it (Risk Assessment is one way to increase the percentage to try to predict it). Blockers can arise from both external and internal locations; the scrum master responsibility is to ensure that those blockers removed to allow the team to continue their work. Ensure that an expert will attend the planning meeting to share his knowledge with the team. Add another member to the team that can balance the necessary knowledge and experience needed to handle similar stories. Provide technical training for the team in areas that they do not have the necessary knowledge. There are just too many examples of impediments that arise from this area; the scrum master responsibility is to ensure that the organization will follow both the scrum process and its spirit. I hate this one, technical debt is a situation where the team cannot take new stories until they succeed to remove the technical debt that they allocated until now. A great scrum master will analyze the reasons that led to this situation and will make the necessary actions to reduce this debt and in some cases even to remove it completely (Automation, Automation, and automation!). There is always that person who thinks he knows everything and based on his knowledge, agile is a complete waste of time, and therefore he is not willing to be committed to the process. Now, because agile based on self-Organized teams that work together to achieve a common goal, such team members that possess a negative approach may affect other team members similar to a bad apple in a basket. You base the team commitments based on two major factors, the first one it the team velocity and the second one is the team capacity. Now, you know these two factors at the start of the iteration, but you cannot predict how the capacity would change once you start the sprint and one of your team members will not arrive to work for one, two or maybe an entire week. Now, there is nothing that you can do here, sickness of a team member is not something that you can forecast, but a good scrum master will become aware of this impediment and will help the team overcome it by involving the PO and the team regarding the work that they may unable to deliver as they intend to do at the start of the sprint. The physical working Place should allow the team to perform at the highest level, if that’s not the case, it is the scrum master responsibility to ensure that the team will get the most suitable physical working Place that will help the team to maximize their abilities. Working environment includes impediments that arrive from the hardware, software, and tools that the team needs to use to perform their work. it’s the scrum master responsibility to ensure that such impediments will remove soon as possible due to the massive impact that they may have on team progress. The team performs a daily meeting and suddenly a manager of another team arrives and start to interfere with the meeting agenda, sounds familiar? Therefore, in that case, it is the scrum master responsibility to ensure that the team will not suffer from unwanted interruptions that come from external resources. Question: Can the team start a sprint with impediments? Answer: Yes, as long that there are no critical impediments that entirely blocks the team. Question: What do the team should do in the case that there are many impediments? Answer: Continue to work on other user stories until the impediments removed by the SM, in any case, that the team cannot show a real progress, they can set a meeting with the PO to review current progress and expected deliverables. Question: Who should fix an impediment? Answer: The most suitable stakeholders (Engineer, Product Owner Etc.) that can remove the impediment as quickly as possible. Answer: In rear cases yes it does, for example, The sprint based on an external supplier that does not available for the team and therefore the team cannot proceed. Question: What is the SM responsibility regarding impediments? Answer: I already explained it, but the SM should summarize, tack and ensure that the relevant impediments removed. He can do it by using other stakeholders or do it directly (Pending is own set of skills). Question: Who responsible to determine the prioritization? Answer: The team has the best knowledge about which impediments are more crucial for them and therefore should have the responsibility to share it with the team SM. The SM has the responsibility to ensure that the team will do the ordering and the reporting. Question: What are the main factors used in the prioritization process? So, as the servant leader of the team, the scrum master should be responsible to remove any impediments that affecting the development team’s progress. Now that we say the obvious, let’s remember that the scrum master as another critical responsibility to create a self-organized, cross-functional and committed team, by removing impediments that the team can resolve themselves the scrum master can actually create more damage than a real benefit. Therefore, now that we understand these two major responsibilities, we need to understand how the scrum master should react to impediments that arise from the team and what are the questions he should answer prior to automatically mitigate them. Is the described impediment is the symptom of a bigger problem? Is this impediment describe the real problem? Is it contains all the relevant data? How this impediment affect team progress? Is this impediment must be removed at current sprint compared to other impediments? Do we really need to resolve this impediment? What is the Risk of not removing this impediment? Can the team resolve this impediment without the help of the SM? Can we use this impediment as a guiding example for the team? Is this impediment relevant to an internal conflict between team members? Is it really an impediment…? What tactics can the SM use for removing impediments? In most cases, the impediments raised during the daily scrum meetings as a key part of the meeting agenda; this is good enough in most cases, but sometimes it can be too late. An active approach of an SM can find these impediments even prior to the meeting. Remember that the scrum master is part of the team and therefore can see impediments that affect team performance without the need for the team to report it. Not all the reported impediments indicate for a real problem; sometimes team members can raise an issue as an impediment without even trying to resolve it. Therefore, once the SM understands it, he should ask the team a set of questions that will allow them to understand what they can do to resolve this issue by their own and without waiting for him to do it for them. For me, this is what differentiates great scrum master from the mediocre once; a great SM can take impediments and use them as an advantage for educating and promoting team knowledge. The scrum master should provide the team with the necessary tools to handle the same future impediments without the need to wait for him, once he succeeds; team members can resolve their own problems and reduce the bottlenecks through the sprint. This is similar to any other RCA process where the investigator should not resolve the symptoms but instead should drive to find the real root cause that led to this symptom. Remember that resolving a symptom without resolving the real Root Cause will most likely not prevent from the same impediment to rise again in future iterations. There is a major benefit in showing what, where the impediment that affect team performance throughout the iteration, therefore the scrum master should document the number of impediments that were raised, how they affect the progress and what was done to remove them. I think that anyone that was part of a scrum team will agree that in most cases there are many impediments that arise per iteration and especially in new teams and large complex projects. Due to this reason, there is a major importance of the scrum master to prioritize the impediments prior to run and resolve them. My suggestion is to consult with the team regarding which items are more important and always compare it to the iteration goal (High priority is given for impediments that affect the team’s ability to meet it).